North Star Auto LLC is located at 7 Horizon Flat Road in Winthrop, Washington. The North Star shop is a full service auto repair facility that services a wide variety of gasoline and diesel powered automobiles, with a specialty in European and Japanese cars and trucks, including sports and luxury models. The business is open year-round, Monday through Friday, and is closed on major holidays. North Star’s business philosophy is to maintain integrity, provide good customer service, and complete quality repair work in a timely manner. North Star works to earn and maintain a reputation for the highest level of skill and experience in the automotive repair trade. Kyle Odion has over 20 years of experience working in the automotive service and repair industry. Kyle began his career by completing an automotive technician internship at a Toyota dealership in Denver, Colorado. 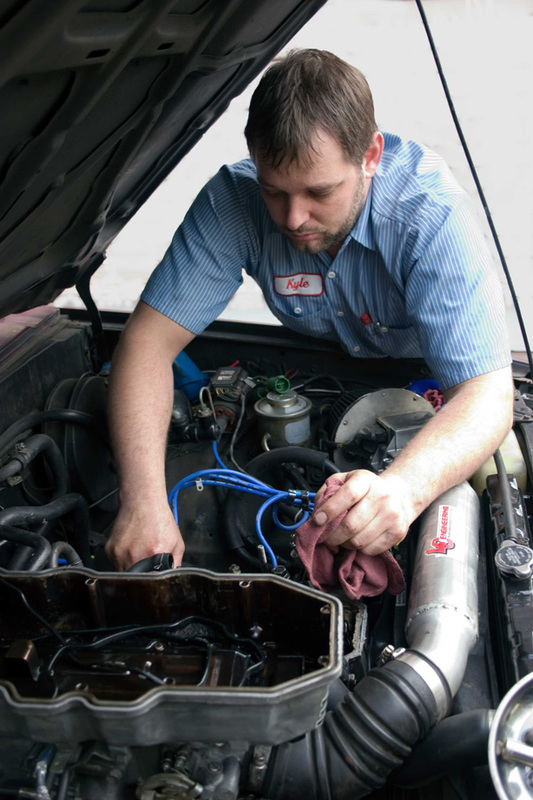 Kyle’s automotive repair experiences include work at dealerships, as a fleet mechanic, and as a technician at several small, independent repair shops in Colorado, Oregon, and Washington. Kyle became an ASE Master Certified Technician in 2004. Prior to opening North Star in 2009, Kyle worked for five years as a top mechanic at Peter’s Import Car Service, an elite independent shop in Vancouver, Washington specializing in European and Japanese import cars.